CO-OP AGENTS Anil Khera and Nutan Brown, Royal LePage West Realty Group Ltd. The Action: Two empty-nester home buyers yearning for an east-end house or large condominium had toured more than 20 prospects but were unsuccessfully in their bids for several. They decided to be more assertive in their approach to this semi-detached house in late September. “We had been through one or two multiple-offer [scenarios] already and were not even in the running in a couple cases,” agent Anil Khera said. What They Got: This two-storey house, circa 1922, was built with a three-bedroom and two-bathroom plan on a 20-by-90-foot lot. In the past decade, updates were done to the roof, windows, cooling and plumbing systems, as well as an eat-in kitchen with access to a deck. Hardwood floors appear throughout, from the living and dining areas to lower-level recreation and guest rooms. The Agent’s Take: “It’s a very nice, established, family-oriented and leafy street,” Mr. Khera said. LISTING AGENT Anil Khera, Royal LePage West Realty Group Ltd. The Action: In April, house hunters in the Centennial community could browse a few properties, including this detached residence built in 1968. Private tours were granted for roughly 20 buyers and twice those numbers for an open house, but the push for more visitors ended with three pre-emptive offers from young professionals. What They Got: What looks like a brick bungalow on a 46-by-112-foot lot is a back-split residence with four levels, including the basement. The front portion consists of an attached double garage, living and dining rooms with refinished hardwood floors and an eat-in kitchen with tile floors. Across the rear are three bedrooms and one of two bathrooms upstairs above a lower-level family room with a fireplace and walkout to a southeast-facing backyard. The Agent’s Take: “The price point was appealing for a lot of people, especially first timers and people looking to either start a family or have a small or young family,” agent Anil Khera says. Though back-splits and bungalows are common in the area, the nuances of this one were recognized. “Generally, the lots are around 40- to 50-feet wide, but this was 46-feet at the front and about 80 at the back, so it was a pie-shaped lot that made it a very large lot,” Mr. Khera notes. The Action: Just up the street from two schools and a park, this semi-detached house was one of a few properties available in in the Pelham Park community this spring. It opened its doors to 20 groups, but closed them prior to the open house once two pre-emptive offers were delivered. What They Got: This two-storey residence embraces classic form with its brick façade, separate living and dining rooms with hardwood floors and a tiled kitchen with access to a two-tiered deck and double garage off a laneway. Each level has a bathroom, but the larger ones serve three second-floor bedrooms and a lower-level recreation area with a guest room and rear walkout to the 18-by-122-foot grounds. The Agent’s Take: “It’s an area that has been traditionally undervalued, so people who are priced out of other prime areas are giving this another look,” agent Anil Khera says. While the size of this semi is typical to the area, the modifications were not. “This house was very well maintained and the owners had done a number of quality and smart renovations over the last number of years, including the kitchen, bathrooms and basement,” Mr. Khera says. The Action: In one of the few stacked townhouse communities near Earlscourt Park, this two-storey unit quickly entertained about 30 visitors and sparked a six-way bidding war in late January. What They Got: Within a low-rise structure composed of two- and three-storey townhouses is this two-bedroom unit with a street-level entrance, west-facing windows and laminate floors in the living and dining area and upper bedrooms. The unit comes with parking and monthly fees of $296 (which covers services, such as water for the bathroom), tiled laundry room, and kitchen with new stainless steel appliances and breakfast bar. The Agent’s Take: “There are a variety of sizes and floor plans available at that complex, and they are typically two-bedroom units, but some of them have dens, and some even have third bedrooms, and some have second bathrooms,” agent Anil Khera says. Plus, the calibre of local amenities has grown since this building was built about a decade ago. “It’s a fairly very central location very close to the St. Clair and Corso Italia strip. It’s a short bus ride to Lansdowne subway and it’s walking distance to all the fun stuff happening on Wallace Avenue and the Junction,” Mr. Khera notes. CO-OP AGENT Anil Khera, Royal LePage West Realty Group Ltd. The Action: Clients of agent Anil Khera had a set list of requirements – a detached, four-bedroom house with a double garage and lots of land – so their search lead them to a dozen homes city-wide. Having been defeated in a few bidding wars, their $867,500 offer trumped the competition for this custom brick house backing onto Highland Creek and Colonel Danforth Park in West Hill. What They Got: On a small portion of a 60-by-368-foot lot is this two-storey residence with a Z-like footprint with a central kitchen and dining room between a sunken front living room and rear fireside family room, both with walkouts to a deck. In terms of updates, hardwood floors were refinished and one of three bathrooms renovated to serve the second floor bedrooms, including a master with its own balcony, plus new carpeting was laid in the lower-level recreation room. The Agent’s Take: “It’s a unique property because of the location backing onto Highland Creek,” Mr. Khera says. As for the strength of this home is its vintage 1970s style. “There were two houses built side-by-side by the same builder and architect, and in fact this was the architect’s house,” Mr. Khera notes. 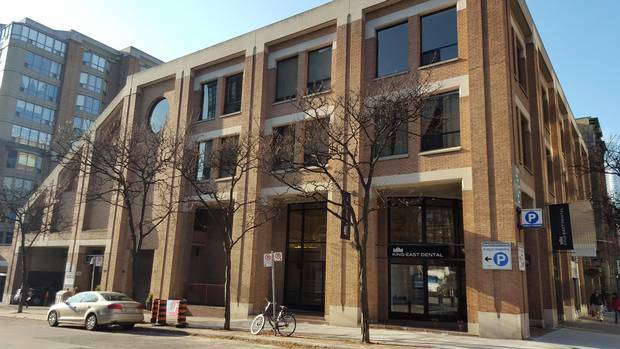 The Action: Clients of agent Anil Khera shortlisted a few properties to tour near the St. Lawrence Market last fall. Their top choice was this one-bedroom-plus-den corner loft in a boutique building with few vacancies annually. What They Got: A mixed-use low-rise houses retail outlets and 12 residences, including this third-floor loft with 11-foot ceilings, hardwood floors and north and east-facing windows, plus laundry machines, four-piece bathroom and a locker. The kitchen was rearranged with cabinetry and stainless steel appliances along one wall of an open living and dining area, and a newly created den doubles as a walkway to a bedroom with a walk-in closet. Monthly fees of $679 cover utilities. The Action: A couple renting in the Beaches took several years off from shopping for three-bedroom houses in their preferred school district after losing a few local bidding wars. But when they spotted this semi-detached residence with two-car parking just north of the RC Harris Water Treatment Plant, they made a bully bid to bypass potential rivals on the offer date. What They Got: The past two owners gave this 1920s brick residence new form and function with an updated roof and fence around the 15-by-100-foot lot, as well as two modernized bathrooms, laundry facilities and kitchen with custom cabinetry, Caesarstone counters, island and deck. Newer components also entailed crown mouldings and an electric fireplace in the living and open glass-accented staircase by the dining area to a lower-level recreation room and three upper bedrooms with hardwood floors. Like many neighbouring homes on the quieter, south end of the street, this home has a unique look and layout. “Both previous owners had done enough work to get it to the point where it showed really well,” Mr. Khera states. The Action: Clients of agent Anil Khera lost a couple of bidding wars over updated, three-bedroom properties in the downtown core. So their search expanded eastward, where they put in an aggressive offer and successfully acquired this semi-detached, two-storey house without parking in the Beaches. What They Got: The kitchen and main bathroom are among the newer components of this more-than-a-century-old house with classic hardwood floors, a fireside living room and open dining area with exposed brick walls. The main staircase leads up to three bedrooms, including one with a sunroom, while the back stairwell has access to the 18-by-117-foot grounds, complete with a patio and two-tiered deck with a hot tub, as well as a lower level recreation room, guest suite and full bathroom. The Agent’s Take: “The Buyers were open to looking at other neighbourhoods that were family-oriented with good schools, great access to transit and good walkability, so they were quite impressed by the area this house was in,” Mr. Khera says. The house’s condition was also a showstopper. “It was very nicely renovated, especially on the main floor. The kitchen was … a cook’s kitchen; it was really beautiful,” Mr. Khera notes. The Action: The sellers of this detached residence without parking didn’t get the response they expected on their May offer date, especially when pitted against other homes for sale nearby, including one next door. So their next attempt the following month – listed at a different price without pressure of a looming deadline – yielded a fair offer after a weekend open house. What They Got: Within the past year, an experienced renovator – and his handy adult children – modernized this more than century-old house so it now opens into a fireside entertaining space, dining area and rear kitchen with hardwood floors throughout, stainless steel appliances and a third bathroom. Off a back stairwell to a deck and fenced 19-by-91-foot lot is a newly created one-bedroom basement suite with living and cooking quarters. Meanwhile, the main staircase connects to three upper bedrooms, including one with a sitting area and a master with vaulted ceilings, brick accent wall and his-and-her closets. For instance, much attention went into repairing the most utilized areas. “They completely renovated a nice new kitchen with a live edge slab island,” Mr. Khera states. LISTING AGENTS Anil Khera and Nutan Brown, Royal LePage West Realty Group Ltd. The Action: There’s no guarantee of bidding wars in parts of Burlington, but this detached residence with an attached garage quickly scored a trio of offers following an open house and 15 rounds of showings this summer. What They Got: Since 1999, a 46-by-75-foot corner lot has been the pedestal for this two-storey brick house that the past two owners improved with new hardwood floors in the living room, an open dining room and kitchen with updated cabinetry, stainless steel appliances, and tile and granite finishes, plus a walkout to an in-ground pool. The lower and upper levels provide quarters for more play and privacy, including a sauna, games and recreation rooms below, as well as two bedrooms and a master suite above with a walk-in closet and one of four bathrooms. The Agent’s Take: “[The current owners] had good taste in terms of decorating and did a lot of things that added value to the house and made it very appealing to people who walked in. It showed really nicely,” says agent Anil Khera. Extra room for recreation also extended outdoors. “It had great curb appeal, great landscaping. As soon as you pulled up you could see that the garden was well maintained, and the backyard had a small pool, which was prefect for young kids and adults,” Mr. Khera notes. The Action: A growing family hoped to find a suitable home in an established west-end Toronto neighbourhood, such as Bloor West, but drifted farther west to a former childhood community in Oakville. There, they bought this two-storey home for just more than $1-million in March. What They Got: This brick house was built with a classic floor plan with fireplaces in the living, family and lower-level recreation rooms, a formal dining area with garden doors and an updated kitchen with a centre island and stainless-steel appliances. The largest of four upper bedrooms with hardwood floors has a walk-in closet and remodelled ensuite, which is one of four bathrooms. The 50-by-142-foot lot features an attached double garage and in-ground pool at the front and rear respectively. The Agent’s Take: “There are a lot of houses there that are probably 80 to 100 years old,” agent Anil Khera says. The Action: Homes in the Scarborough Junction are listed frequently and sold as swiftly. For instance, nearly 20 open house attendants meandered through this detached, brick bungalow abutting Pine Hills Cemetery and three battled to make the best offer. What They Got: An updated roof, furnace and electrical panel were among recent improvements to this more than 60-year-old bungalow with three bedrooms, two bathrooms, living and dining areas with hardwood floors and an eat-in kitchen with laminate floors. Concrete floors and above-grade windows appear in a partially finished basement with a side entrance to the private driveway, south-facing backyard with a deck, gazebo and shed on the 50-by-163-foot lot. The Agent’s Take: “It’s quite a desirable area in terms of finding houses that are quite solidly built in the fifities and it’s a very family-oriented area,” agent Anil Khera says. This property’s tranquil, yet urban environment was also recognized. “This happens to back onto a cemetery, which some people would not consider, but other people really like that idea,” Mr. Khera says. The Action: Small rowhouse enclaves are a rare but sought-after commodity in the Casa Loma community, but this updated, brick townhouse lacked parking and the large yard of some of its neighbours. So agent Anil Khera enhanced its appearance by decluttering and staging it, effectively amassing 50 showings and an open house crowd 100 strong, which resulted in eight competing bids. What They Got: In the past few years, different owners refurbished highly trafficked areas of this 1920s townhouse, including two remodelled bathrooms, refinished hardwood floors in the living and dining areas with exposed brick walls and stylish, sky lit, eat-in kitchen with stainless steel appliances and double doors to a deck and 21-by-43-foot lot. There are three bedrooms on the second floor, but only a recreation room on the lower level. This home was also in great shape despite its age. “All the mechanicals were upgraded and anything that needed looking after was looked after, so people knew they were getting a house not just with good bones, but also has been well maintained by the current and previous owner,” Mr. Khera notes. The Action: After a couple’s failed experiment living closer to their workplace in Scarborough, they sought out this two-bedroom residence at the Grange Lofts to be steps from urban attractions and activities. What They Got: Across the street from the Grange Park, the Art Gallery of Ontario and OCAD University, a roughly century-old building was converted into about 15 townhouse-style suites, such as this one with windows to the east and west and street-level access off a covered porch. Exposed brick walls line the hallway to the open living, dining and cooking quarters with wooden floors, as well as the updated bathroom, laundry facilities and two bedrooms, including a master suite with a rear exit. Monthly fees of $499 cover water, but not heating or hydro. The building’s last sale was in 2009, also making this unit a rare find. “It has some really nice features, in terms of exposed brick; it’s very bright with high ceilings; and very open, airy and spacious” Mr. Khera notes. The Action: No staging was necessary to enhance the existing assets of this renovated semi-detached house, which was explored by about 50 house hunters, including 30 open house attendees. Despite numerous east-end alternatives, one buyer made a substantial pre-emptive offer rather than risk losing the house in a bidding war. What They Got: This more than century-old home was owned by architects who modernized its mechanics, layout and aesthetics, apparent from bamboo floors in the living room to a galley kitchen with stainless steel appliances, sleek cabinetry and a glass door to the 16-by-100-foot grounds and detached garage off a laneway. The top floor is divided for two bedrooms with new doors and the lower level has a carpeted office area, guest room and secondary bathroom. The Agent’s Take: “[The sellers] completely transformed the house from what they purchased into what you see now with some very contemporary and interesting, yet functional design ideas,” says agent Anil Khera. Efficiency did not come at the cost of style, as demonstrated by the floating, glass-walled staircase. “It doesn’t close off the stairs from the living space and with open stairs, you can see through the glass and stairs, which give it a nice, larger feel,” Mr. Khera notes. The Action: This detached residence in the Dovercourt Park community received several offers when it was originally listed under $800,000. But as the market shifted and smaller properties were selling in the same ballpark, the sellers took the risk of relisting in the mid-$800,000s and found a buyer willing to negotiate a deal. What They Got: In 2009, this more than century-old, brick residence on a 17-by-124-foot property was remodelled and expanded with a rear addition, creating a family room off the kitchen with hardwood floors, granite counters and a walkout to a covered deck and two-car parking off a laneway. Laundry facilities were moved to the second floor, where the third and largest bathroom is located. A new third bedroom was created with a loft space above. The house has a one-bedroom, one-bathroom basement suite with living space and a kitchen. Original areas include a living room with a gas fireplace and an open dining area. The Action: This two-bedroom unit was one of the more stylish options available at the Bohemian Embassy in West Queen West, so it scored about 20 showings and 10 open house visitors. A proposal of $455,000 was accepted in the second week of listing. What They Got: A couple years ago, a modern building was completed with hundreds of suites, like this sixth-floor model with nine-foot ceilings, hardwood floors and south-facing windows, as well as a locker and parking below. From the foyer, guests are directed through the kitchen, complete with stainless steel appliances, marble backsplashes and an island, to access the open living and dining area along the sliding doors to a Juliet balcony. A second Juliet balcony is featured in one bedroom, but the other has a private bathroom and his and her closets. A full bathroom and laundry machines round out wet stations in the unit, which owes $580 monthly towards the cost of water, heating, concierge, gym and party rooms, including one with a rooftop deck. The Action: Near the cluster of film studios and industrial outposts in Leslieville, property values are rising, with a few residences recently selling before their offer dates for over $1-million. While there was no bully offer on this semi-detached house backing onto the Morse Street playground, there were two rival bids on the presentation date mid-April. What They Got: Within the past year, this home, older than a century, had been essentially gutted to modernize the 1,260-square-foot interior with contemporary decor and updated mechanics and windows, plus new roofing and fresh landscaping for the 16-by-129-foot lot. Hardwood floors in the living room flow through the dining area and the kitchen has been revamped with stainless steel appliances, a reclaimed wood breakfast bar with exposed bark on one edge, a new powder room and a walkout to a deck. The second floor was given a skylight, laundry facilities and one of two full bathrooms with heated floors to serve the three bedrooms. The 630-square-foot basement was dug out and carpeted in the guest room and recreation area. Two-car parking is situated off a laneway. The Agent’s Take: “The biggest selling feature would be that it’s a meticulous and very well-thought-out renovation done over a period of eight months,” said agent Anil Khera. Curious neighbours even envied elements their homes lacked. “Semis tend to be a little bit darker, but this has a nice big front window west-facing … and a huge skylight above the stairwell that brought so much light into the house,” Mr. Khera states. The Action: This winter, popular west-end neighbourhoods had such a low inventory, many of the dozen or so houses looked at by a couple of Queen West residents were snatched up in bidding wars between upward of 10 buyers. So they were prepared to beat out a handful of bidders for this detached Cape Cod residence in Etobicoke. What They Got: Original residences are often torn down or expanded, so this 1 1/2-storey house falls into the latter category with a family room addition outfitted with a gas fireplace and walkouts to a south-facing deck and driveway to an attached double garage on the 43-by-125-foot lot. The interiors also displayed updated trims and pot lights in a front den, open living room with an electric fireplace, a dining area and kitchen with tile floors and stainless steel appliances. There are two bedrooms on the second floor and a third on the lower level, along with a fireside recreation room with above grade windows and a third bathroom. The Agent’s Take: “We looked at a variety of pockets in the city, like High Park, Roncesvalles and Bloor West … but weren’t able to get the same amount of space – both interior and exterior – in those areas as you could here,” says the buyer’s agent, Anil Khera. The buyers were also pleased to reconnect with nature in an urban setting. “They wanted to be in an area that was family-friendly and accessible to the subway and highways,” Mr. Khera said. LISTING AGENT Nutan Brown, Royal LePage West Realty Group Ltd. The Action: Clients of agent Anil Khera had two offers rejected during their citywide search for a house in need of little or no work. So the condo owners were elated to be the one and only bidders on this renovated, two-storey home. What They Got: This classic 1930s residence has a four-bedroom and two-bathroom plan with surface parking fronting onto the treed street and a private deck and perennial garden nestled at the back of the 26-by-115-foot lot. Finishes vary throughout with hardwood floors in the fireside living room and an adjacent dining area with plate rails; tiling in the eat-in kitchen and sunroom with a patio exit; and carpeting in a recreation room in the basement, which has a separate entrance. Not only did this property’s space exceed the buyers’ expectations, but its setting did as well. “It was an area they hadn’t at first considered, but once they saw the house, the condition it was in and how nice the neighbourhood is, it all changed their minds,” Mr. Khera explains. The Action: In the Toy Factory Lofts, adjacent to the Liberty Market Village, this one-bedroom plus den loft was priced under $500,000 to lure buyers away from other units listed. A deal was negotiated by the second week once three dozen visitors surveyed the space. What They Got: A 817-square-foot section of a former toy factory was converted into an urban condominium with 13-foot ceilings, exposed brick walls and expansive windows along the open living and dining area. Toward the unit’s centre is a modern Scavolini kitchen with Caesarstone and granite counters and laminate floors, as well as a den and master bedroom. Supporting elements include a five-piece bathroom, laundry machines, exterior locker and parking on the same level. Monthly fees of $285 pay for water, heating and a 24-hour concierge, plus a rooftop deck, fitness and party facilities. The Agent’s Take: “Conversions like the Toy Factory Lofts are pretty special … you can’t replace the post and beams you get in these old building, they have so much charm,” says agent Anil Khera. This loft’s location was ideal in many respects. “It’s a west-facing unit, but you could see south at the right angle, so it was super bright,” Mr. Khera states. The Action: Clients of agent Anil Khera were defeated in two bidding wars for well-kept duplexes in different sections of the city, so they were determined to buy this modern, semi-detached house a couple blocks from Withrow Park and Pape subway station. Their offer of $131,600 more than the list price earned them ownership. What They Got: This roughly century-old, brick structure on a 16-by-96-foot lot is divided into two units with updated finishes, such as bamboo floors and floating vanities in the four-piece bathrooms, plus private outdoor space and laneway parking. walkouts to the south-facing yard and basement, where there is a bedroom with pot lights, above grade windows and separate rear entry. The 1,040-square-foot owner’s suite occupies the top two floors with the kitchen, living and dining areas on the second level, and two bedrooms on the third floor, including one with a trellis-covered rooftop deck. What sold the buyers on this house were the modern alterations. “The renovations were done by the previous owners who were both architects, so there are a lot of really smart nooks and crannies, built-ins, storage features, bookcases and media units throughout the house,” Mr. Khera adds. The Action: Clients of agent Anil Khera wanted an affordable property in a central location, so they zeroed in on this three-storey townhouse after touring a handful of west-end candidates. Battling other buyers in the area is common, especially on this residential street where homes sell upwards of $700,000, so the buyers proposed the best out of four offers with a $40,100 premium. What They Got: At the end of a row of brick townhouses, this roughly century-old residence is laid out with an open living and dining area with pot lights and wood floors, but a traditional eat-in kitchen linked to a sunroom with a garden exit. On the upper levels, there is a second-floor office, two bedrooms and one of two full bathrooms, as well as two more sleeping quarters on the third level where a rooftop deck could be created. For storage, there is a finished basement and parking off a laneway behind the 13-by-125-foot lot. This townhouse also has the qualities of a larger property. “It’s mostly semis or detached [homes there], so this is one of the few row houses I know of and it’s at the end of a row, so it has the feel of a semi,” Mr. Khera adds. The Action: Clients of agent Anil Khera started their hunt for a property with an income unit at the beginning of the year, but found competition heated up along with the temperatures as they were outbid on three houses. So they were determined to buy this semi-detached property in Davenport Village with an offer that trumped four others this spring. What They Got: This 1920s brick residence has two separate living areas, each with updated mechanics, a full bathroom and renovated kitchen, as well as walkouts to a patio and parking off a laneway behind the 16-by-85-foot lot. The owner’s unit encompasses three upper bedrooms, including one with a fireplace, a fireside living room and an open dining area with hardwood floors, plus a laundry room off the kitchen. Monthly rents of $800 were collected for the one-bedroom basement apartment. The Agent’s Take: “What was important to [the buyer] was something with three bedrooms, a decent amount of living space and was in good condition, close to accessible transit in a decent neighbourhood,” Mr. Khera noted. This property provided everything they requested and more. “[Previous owners] had done an addition, so the rooms on the second floor, like the master bedroom and bathroom, are much larger than what you’d normally get,” Mr. Khera added. The Action: To prepare this semi-detached house for its close-up appearance in marketing materials, the interiors were painted and staged. With few properties available in the up-and-coming community – once home to the Ontario Stock Yards – this one reeled in more than three dozen visitors, including one who made a pre-emptive offer days before the sellers planned to review any. What They Got: At the very end of a quiet cul-de-sac is a 16-by-87-foot, pie-shaped lot supporting this 11-year-old brick residence and a detached garage by the rear laneway. Inside, there are three carpeted bedrooms upstairs and two bathrooms, a combined living and dining area with parquet floors and an eat-in kitchen with ceramic floors and a back door to the yard. An apartment could be created in the basement, which features concrete floors, above grade windows and a walk up. The Agent’s Take: “The location is pretty fantastic … close to transit, lots of good shopping and good access to cool areas, like the Junction,” says agent Anil Khera. This house also has features some buyers can’t get within their budget in established communities nearby, like Bloor West Village. “It offers a lot of space for the money, so that attracted people,” Mr. Khera adds. The Action: Over a few weeks, 30 private showings and two open houses provided potential buyers with a inside look at this detached, brick house in Dovercourt Park. The closeness of neighbours and small-ish backyard was a deal breaker for some, but not enough to keep one buyer away from the negotiating table. What They Got: This roughly century-old structure could be converted into a duplex as it has a roughed-in kitchen facilities upstairs, but is used as a single-family home with three bedrooms, three bathrooms and several entertaining areas, including a renovated recreation room in the basement. Stained-glass windows, hardwood floors and wood details are historic qualities preserved in areas like the open living and dining areas, which are separate from the kitchen and rear sky lit sunroom with a walkout to a deck. Like most homes nearby, this one lacks parking on the 17-by-65-foot lot. But it is a couple blocks to the subway and businesses on Bloor Street. Buyers were also pleased by the home’s condition. “The electrical and plumbing was updated, it had 2.5-bathrooms and the basement was finished, which were all really good selling features,” Mr. Khera states. The Action: A couple of midtown renters were open to buying a low-rise house in the low $400,000s provided it was close to public transit, so agent Anil Khera suggested 20 options around the Danforth subway line. Having lost two bidding wars in the east end, they were shocked to be the only buyers present on the offer date for this semi-detached house between Main Street and Victoria Park subway stations, but paid over list price as a sign of respect. What They Got: Just south of the Dentonia Park Tennis Club, this typical, 1920s residence seamlessly incorporates modern and vintage elements, from hardwood floors in two of three upper bedrooms to laminate floors and pot lights in an open-concept living and dining area. Practical features were also on the docket of improvements, such as new roofing, windows, fencing and two updated bathrooms, plus plumbing for a third in the basement, in addition to a remodeled kitchen with access to a mudroom, outdoor space, storage and mutual driveway on the 22-by-100-foot lot. While the buyers were flexible on location, they wouldn’t budge on certain auxiliary spaces. “In the east end, most of the semis have mutual driveway and most of those are unusable. But with this one, it’s 22.25-feet wide lot, so the mutual driveway was wide enough to get a car into the back and still have a shed, yard and deck,” Mr. Khera said. 1343 FIELDCREST LANE, OAKVILLE, ONT. The Action: Agent Anil Khera had out-of-town clients looking for a detached home in Oakville with a pool – or room for one. Mr. Khera guided the house hunters through 10 options each weekend they were in town and after about two dozen tours, they negotiated a deal for this updated two-storey residence. What They Got: In a residential pocket just north of the QEW, this four-bedroom brick house sits at the centre of a 56-by-117-foot corner lot with a fenced-in pool, shed, cabana and private backyard. Since 2000, new roofing, windows and double garage doors were added around this 30-year-old structure, which was also outfitted with updated broadloom throughout and ceramic finishes in an eat-in kitchen with a walkout to a wide deck. Formal gatherings can be held in the living room, dining area or open family room with a gas fireplace, while casual activities can take place in the fireside den, recreation area and games room in the basement, which also has a wet bar and a separate entrance. Daily routines are easy to execute with a central vacuum system, main-floor laundry room and five bathrooms, including a five-piece en suite in a master suite with a walk-in closet and balcony. The Agent’s Take: “In that area, it’s probably on the larger side with an extra bedroom and the layout on the main floor makes it seem a little bigger than other things we had been seeing,” Mr. Khera said. The buyers were also drawn to the area’s established amenities. “It’s close to good schools as well, close to green space and has good access to a GO station,” Mr. Khera said. THE ACTION: Agent Anil Khera’s clients were looking for a live/work property for an arts-based endeavor. After investigating several Toronto neighbourhoods, they made an offer on this mixed-use building at a visible corner on Danforth Avenue, between two subway stations. WHAT THEY GOT: The roof and furnace were replaced in this century-old structure that contains 2,600-square-feet of space divided between the first and second floors, plus a basement and two-car parking at the back of the 19-by 100-foot lot. A community church previously operated out of the commercial unit, which has a main floor space with 10.5-foot tin ceilings and lower level kitchen facilities, meeting room and his and her bathrooms. The floor above has a three-bedroom and one-bathroom apartment with original wood floors and skylights. THE AGENT’S TAKE: “There are a lot of storefronts that are quite small – some 600, 700 or 800 square feet – but this one was considerably larger,” says Mr. Khera. The Action: This one-bedroom-plus-den unit at Studio One Lofts logged about 30 visitors evenly split between private showings and two open houses. What They Got: In 1996, a former tannery was converted into 27 authentic lofts, including this nearly 1,100-square-foot space showcasing original brick walls and beams in the living room and combined dining and kitchen area, as well as modern granite counters and stainless steel appliances. At some point, the carpeted master bedroom was reconfigured to create a den. Other essentials consist of a bathroom, laundry machines, a locker and surface parking. Utility costs are rolled into monthly fee of $532 as there are no on-site amenities. Local attractions include a recreation centre, Earlscourt Park and Corso Italia shops and restaurants on St. Clair Avenue, which has newer streetcar tracks. Though every unit has a different layout and size, this one “has all the things you’d expect in a hard loft conversion: exposed brick walls, original hardwood flooring and exposed duct-work,” adds Mr. Khera. The Action: As requested, agents Anil Khera and Nutan Brown presented their west-end clients with several properties in need of repair and in close proximity to transit in their neighbourhood. But their $500,000 cap didn’t help them win any bidding wars. So the agents had the first-time buyers consider East York properties like this semi-detached house, which was reduced from $525,000 to $479,000. Even offering a premium to ward off another buyer, the buyers still came in under budget. What They Got: This roughly 80-year-old, brick house on a 20-by 136-foot lot features a fairly new front door, updated windows and stainless steel appliances, but the hardwood floors are original in the living and dining rooms and three upper bedrooms, and linoleum covers the eat-in kitchen and lower-level recreation room. Other conveniences include two full bathrooms, a legal front parking pad and detached garage. The Agent’s Take: “Westwood is just one block north of Mortimer and that area tends to be off the radar for people looking for something in Danforth Village … because they feel it’s too far north. But if you want something affordable for first-time buyers, you’ve got to compromise a bit,” says Mr. Khera. The Action: Agent Anil Khera and a couple of east-end entrepreneurs exhausted viable rental options to house their new bakery, so they considered buying a mixed-use property instead. This two-storey building near Woodbine Park and Ashbridge’s Bay came under their radar once it was relisted at $499,999 – after six weeks on the market at $549,000 – so they immediately booked a tour and further negotiated the price down to $480,000. What They Got: This century-old building on a 15-by-110-foot lot is zoned for retail and residential use, so it offers 1,300 square-feet of space divided between two floors, plus a courtyard and a detached garage. The first floor previously housed a retail shop with access to a basement with extra storage and a bathroom. The main level has interior entry to the second floor, which is presently set up with a kitchen, a bathroom with a claw foot tub, a living area with a wood burning fireplace and a back room with a walkout to a 10-by-10-foot deck and the courtyard below. The Agent’s Take: “These kinds of buildings don’t come up that often,” Mr. Khera said. “Between Leslieville and the Beach, there is a lot more foot traffic these days and the houses are now much more desirable … so the area was also an attraction.” What sold the buyers on this particular space was its traditional details, such as maple wood floors, leaded glass windows and high ceilings. THE ACTION: Agent Anil Khera was recruited by North York homeowners to find a more central property that could accommodate a private residence and a piano studio. This over century-old building offered the most potential in an up-and-coming neighbourhood near the beach, so they negotiated a deal for $590,000. WHAT THEY GOT: Standing prominently on a 15 by 80-foot corner lot, this brick building was elegantly restored of its vintage signage, wood panelling and rosettes, but also gutted, renovated and expanded with new roofing, mechanics and contemporary interiors. The commercial space on the main floor is a bright, open area with pot lights and ceramic flooring. The bi-level residential apartment has a rear entrance into a foyer with a powder room and stairs to the second floor, where there two bedrooms and a full bathroom, as well as a a living area with hardwood floors and exposed brick walls and an updated kitchen with ceramic floors and stainless steel appliances. Other perks include an unfinished basement with a full bathroom and separate entrance. THE AGENT’S TAKE: “[The area] is becoming a bit trendy with great cafes, a couple good restaurants and bookstores,” says Mr. Khera. LISTING AND CO-OP AGENT Anil Khera, Royal LePage West Realty Group Ltd. The Action: Given the option of private showings and open houses, about 60 buyers walked through the doors of this semi-detached house in North York in just a few days. Six shoppers returned on the offer date to present a bid. What They Got: To bring this more than 40-year-old property up to date, the roof, windows, wiring, heating and cooling systems were replaced, the kitchen and three bathrooms were refinished, and the 30- by 121-foot grounds were landscaped with gardens, walkways and a patio off the living room. In terms of decor, tile flooring appears in the recreation room in the basement, which has nearly seven-foot ceilings, and hardwood floors cover the main floor rooms and second floor bedrooms. The Action: The price of this two-storey house in East York was dropped twice, so when it was lowered to $529,900, agent Anil Khera negotiated further so it was in line with the budget of a local renter wanting a detached house with a garage. What They Got: On a 20-by-127-foot lot in a popular low-rise neighbourhood near Danforth Avenue, this 1940s bungalow was expanded to create two bedrooms and a second bathroom upstairs. Finishes range from ceramic flooring in the foyer and kitchen to hardwood floors cover a living room with vaulted, beamed ceilings, a separate dining room and bedrooms, plus carpeting in a lower-level bedroom and recreation area with pot lights. Outdoors, there is a fenced backyard with open green space, a deck of the kitchen and another deck beside the garage. However, the property’s size can be changed. “At some point, if they wanted to expand that second floor over the front half of the house, then you’d have a nice two-storey, three bedroom, detached home in that area, which is worth a couple of hundred thousand dollars more than what we purchased this home for,” Mr. Khera adds. THE ACTION: This two-storey, corner loft in a former baseball glove factory failed to score a buyer when put on the market priced at $599,900. A re-listing a few weeks later at $589,900 succeeded in igniting buyer interest and about 20 people immediately reserved showings and twice that number showed up for the open house. A visitor at an earlier open house returned a second time with an offer after ruling out a newly-built condo suite. WHAT THEY GOT: In the mid-1990s, Rawlings’ brick warehouse was converted into a boutique loft project with ten units, including this 1,300-square-foot model with original wood beams, exposed brick walls and windows on three sides, as well over 10½-foot and nine-foot ceilings on the main and upper levels respectively. There is a parking spot just outside the entrance into the ground level of the unit, which has a sunken master bedroom with a four-piece bathroom. A powder room and laundry facilities are located on the second level where there is an open living room with a gas fireplace and a balcony, along with a sunken dining area and kitchen. The unit is equipped with alarm, sound and central vacuum systems, plus relatively new heating and cooling systems. Monthly fees are just $427. The Action: Having been unable to find a detached house in High Park, Bloor West Village and Roncesvalles that suited clients, agent Anil Khera steered them toward this three-storey residence in Little Portugal. They passed on the renovated property when informed that offers were being held off until a specific date – often a sign the sellers are hoping to generate a bidding war – but returned to negotiate a deal when the home was still on the market the following week. What They Got: This roughly century-old property house features fine finishes and modern mechanics, including smart wiring, plumbing, heating and sound systems, as well as new skylights and Marvin windows. There are crown moulding, pot lights and hardwood floors in the fireside living room, open dining area and remodelled kitchen and family room with an island, stainless steel appliances and a back door to a fenced-in yard with garden beds, stone patio, walkways and a custom shed. A sitting room is located on the second floor along with two bedrooms and a master suite with a six-piece bathroom, which is the largest of five bathrooms. The third floor houses two bedrooms with cathedral ceilings and exposed beams. There are 7.5-foot ceilings in the basement apartment, which has one bedroom, a living area and kitchen facilities. For parking, there is a driveway at the front of the 30-by-116-foot lot. The Action: This semi-detached house obtained 25 individual showings and a crowd of about 50 people who popped by two weekend open houses. On the day offers were accepted, four buyers stepped up to the bargaining table. What They Got: Since 2003, this roughly 90-year-old house was given a series of contemporary and eco-friendly makeovers, from installing bamboo floors in most rooms to remodelling the kitchen, two bathrooms and lower-level recreation room. The main floor is more open with a fireside living area and central dining space, both with windows, as well as a family room off the kitchen with sliding doors to a large deck, tiered garden and parking at the back of the 18-by-138-foot lot. Sleeping quarters consist of three bedrooms on the second floor. 45 THE GREENERY, OAKVILLE, ONT. The Action: This three-storey townhouse has less modern decor than adjacent properties, so it was priced accordingly, which immediately caught the attention of first-time buyers and young families. After eight hours on the market, half a dozen showings and negotiations between three serious buyers, a deal was signed before midnight. What They Got: Within a community of freehold, brick townhouses built over a decade ago, this one was constructed with three bedrooms, three bathrooms, entertaining areas overlooking the front courtyard and a detached two-car garage off a rear lane. The eat-in kitchen was updated with ceramic floors, but broadloom carpeting still appears in the combined living and dining area and all the upper-level rooms. On the second floor, the family room features a gas fireplace and a front balcony. The sky lit, third floor master suite is the largest sleeping quarters as it has a walk-in closet, five-piece bathroom and balcony. Other assets include a full, but unfinished basement, security and central vacuum systems. The property is steps from schools, trails and parks, including one at the end of the block, as well as a short drive from the GO Train station and highways 403 and 407. The Agent’s Take: “It’s a very desirable area because it’s self-contained and there’s lots of green space,” says agent Anil Khera. The Action: Anil Khera’s out of town clients lost a few bidding wars over properties around Danforth Avenue, between Jones and Coxwell avenues. So when they spotted a sale sign outside this semi-detached house on the way to view another house further east, they convinced the seller to give them an impromptu showing. But since the property wasn’t officially listed for sale yet, Mr. Khera’s clients make a substantial offer to be the first and only buyers to see it. What They Got: This two-storey, brick structure was likely built in the 1930s, but was recently given a makeover with a new roof and modern trappings, such as stainless steel appliances in the kitchen and pot lights in the principal rooms. Maple hardwood floors appear in the open living and dining rooms and all three bedrooms on the second floor. Ceramic tile covers the two four-piece bathrooms and the main floor laundry room, which has a walkout to the patio, shed and private driveway. The Agent’s Take: “It was probably a touch smaller than some of the houses we’d seen, but it was very nicely renovated, like the kitchen and bathrooms were both done,” Mr. Khera said. The property is also in a secluded setting, yet is steps from shops, schools and both GO Train and subway stations. The Action: An agents-only open house and 15 showings were arranged to give prospective buyers a tour of this semi-detached residence, which backs onto a triangular-shaped park surrounded by adjacent homes. What They Got: Originating in the 1920s, this two-storey Beaches house contains three bedrooms upstairs, two bathrooms, including an enclosed toilet by the kitchen, a fireside living room and dining room, plus a full basement with a separate entrance. Original finishes are highly visible including wood trims, etched glass doors and glass doorknobs, while modern updates are less apparent, such as a new roof, wiring and furnace. The porch was enclosed and doubles as a sunroom. For parking, there is an oversized garage and laneway at the back of the yard. The Agent’s Take: “You’re in the Beach – an easy walking distance to the shops, restaurants and waterfront – but the compromise to get in at this price range is that you end up being on a busier street,” agent Anil Khera says. The Action: Over the span of a few weeks, this one-bedroom residence was seen by more than 100 visitors between showings and open houses. But it wasn’t until the property was relisted under $600,000 that a serious buyer stepped up to negotiate a deal. What They Got: This 1.5-storey structure was built around the turn of the past century – making it one of the oldest homes on the street – yet still preserves period details, such as its red brick façade, peaked roofline with gingerbread trim and a wide front porch. Inside, the foyer leads into an open living and dining area with a fireplace, crown mouldings and hardwood floors that extend into the kitchen. Carpeting covers the floors of a family room addition and a subsequent sunroom addition with sliding doors to the backyard and shed. The master bedroom upstairs has sliding doors to a flat roof, and an extra bedroom is located in the basement. The property is equipped with two full bathrooms. Outdoor parking is situated at the front of the 25-by-100-foot lot, which is steps from popular restaurants, shops and a subway station on Danforth Avenue. The Agent’s Take: “It’s on a great street – one of the nicer streets in the north part of the Danforth in Riverdale – and it’s detached on a nice wide lot, and it’s one of the original cottages in that area,” agent Anil Khera says. The Action: When this updated semi-detached house was listed, the sellers said offers would be considered immediately. So agent Anil Khera and his clients booked an appointment to see it that day and quickly negotiated a deal to avoid a potential bidding war. What They Got: Situated on the edge of Davisville Village, this two-storey brick was initially built in the 1920s, but was recently renovated with a more modern layout. The living room was left intact, but the dining room was opened up to the kitchen, which was also opened up to a sky lit family room addition with a walkout to a deck, fenced-in yard and shed. There are two full bathrooms with heated floors, including the five-piece bathroom by the three bedrooms upstairs and a three-piece version by the lower level recreation room. A mutual driveway permits parking for one vehicle. Amenities nearby include schools, plazas and Bayview Avenue shops and restaurants. The Agent’s Take: “It had the size [the buyers] were looking for with three bedrooms, two recently finished bathrooms and a nice big kitchen,” says Mr. Khera, who also made special note of the family room. The Action: More than 30 buyers got a quick tour of this one-bedroom plus den suite between private appointments and two weekend open houses. What They Got: Built nine years ago on the upper levels of a 16-storey building, this 675-square-foot unit opens into a foyer with marble flooring that extends into the bathroom and a U-shaped kitchen with a breakfast bar. The carpeted living and dining room has sliding balcony doors and access to a den, which can also be entered from the master bedroom via sliding glass doors. This unit’s locker is on the same level as its underground parking spot. The monthly fee of $518 covers the cost of all utilities, 24-hour concierge and upkeep of the gym, sauna and party room. There are some shops at the base of the building, which is steps from popular restaurants, cafés and shops, as well as a 24-hour supermarket and subway. The Agent’s Take: “It’s a well priced unit for the Yonge and Eglinton area, and for the size of the unit,” agent Anil Khera says. The Action: Agent Anil Khera and his clients lost out in a bidding war for a two-storey, semi-detached residence in the up-and-coming Wallace Emerson community. But their professional conduct impressed the seller’s son so much that he decided to sell them his own property, which was virtually identical and only two doors down. What They Got: Like many aging properties in the area, this more-than-90-year-old brick structure has a standard three-bedroom plan with a combined living and dining area and an eat-in kitchen with a walkout to the south-facing yard. The first of two three-piece bathrooms is upstairs amidst the carpeted bedrooms, while the other is on the lower level by the recreation room. The Agent’s Take: “For young families, it’s one of the last few affordable neighbourhoods in the city … along the subway line,” Mr. Khera says. The Action: After touring this semi-detached, Upper Beaches residence at an agent-only open house, agent Anil Khera knew it was ideal for his client – a local renter – who drafted an offer later that evening. What They Got: This two-storey, brick structure dates back to the 1920s, yet is in move-in condition with upgraded wiring and plumbing systems, hardwood floors in some rooms and landscaped grounds, among other things. The main section of this house offers three bedrooms, a remodelled bathroom upstairs, a main-floor living and dining room with a brick fireplace and a breakfast bar separating the kitchen, which has a walkout to a garden and mutual driveway. There is a front entrance to a basement apartment with one bedroom, one bathroom and a living room and kitchen with a rear exit, plus a second set of cooking and laundry appliances. The Agent’s Take: “We knew [the buyer] could get a lot more for his purchase dollar on a busier street than on one of the more residential streets,” says Mr. Khera, who cites good windows and doors as solutions to address excess noise. The Action: Turned off by heated bidding wars for west-end properties closer to Bloor Street West, the clients of agent Anil Khera redirected their search to the Casa Loma community where they made an offer for this detached, 2½-storey house after a private showing. What They Got: This five-bedroom house circa 1920s contains a ground floor study; a fireside living room; a traditional dining room, and a remodelled kitchen and family room with French doors to a deck and double garage. The second floor accommodates a rear media room that opens to a deck, two bedrooms and a master suite containing a bedroom-sized sitting area, separate dressing room and the newest of six bathrooms. Rounding out the third floor are two bedrooms, including one with a walk-in closet and a built-in bookcase. A two-bedroom basement apartment is complete with a kitchen, two bathrooms, and side and rear entrances. CO-OP AGENT: Anil Khera, Royal LePage West Realty Group Ltd. THE ACTION: On the day offers would be accepted for this semi-detached, two-storey house in Riverdale, agent Anil Khera and his clients struck a deal that was $30,000 less than the original asking price. WHAT THEY GOT: The house is about 85 years old and in fairly original condition, with the exception of a relatively new washing machine, furnace and air conditioning system. The kitchen has sliding doors to a sunroom that exits to a south-facing backyard and relatively new garage. The sole bathroom is upstairs amid three bedrooms, and a fourth bedroom is in the basement, which has a separate entrance and workshop area. THE AGENT’S TAKE: The buyers already live in the neighbourhood and enjoyed renovating their current home. They intend to renovate this one with an eye to resale, taking advantage of its prime location near lush Withrow Park, well-regarded schools and the Danforth shops and subway. 41 Kensington Ave. N., Hamilton, Ont. 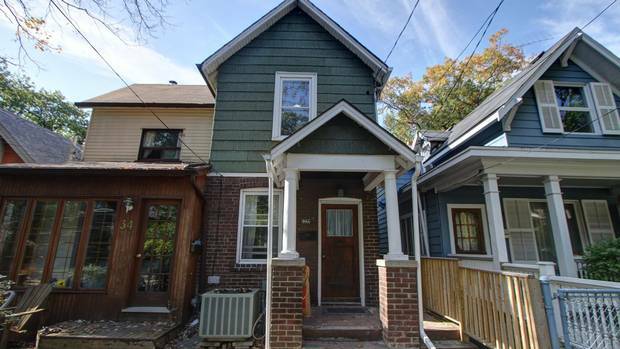 Listed in the low $200,000s, this detached, 2.5-storey residence in the north end of Hamilton was seen as a great alternative to smaller and pricier properties located 45 minutes east in Toronto, agent Anil Khera explains. Perennial gardens surround this roughly century-old brick structure, which has a wide porch with an entrance to a foyer and hall to the fireside living room and adjacent dining room. Wiring and plumbing systems were updated and the kitchen was revamped with classic cabinetry with frosted inserts, a glass door to the yard and an island with a sink and raised breakfast bar. “They made a kitchen – that was not large by any means – into something every functional,” adds Mr. Khera. Two bedrooms, an office and a four-piece bathroom are on the second level. The third floor is an open loft-style bedroom. Off the mutual driveway to the garage, there is a side entrance to the basement, which has recreation and laundry rooms, a kitchen and bathroom. “You could make it into an apartment if you wanted,” Mr. Khera says. The property is located on a quiet, one-way street within steps of public transit, schools and cultural and recreational facilities at Gage Park. What drew buyers to this one-bedroom plus solarium suite is its location in a high-rise on a short side street close to shops, eateries and the subway line on Yonge Street, as well as major medical and educational institutions, says one of the listing agents, Anil Khera. The roughly 20-year-old unit was in move-in condition. “People are always impressed when they see things are taken care of, they assume it’s going to be a relatively headache-free place,” Mr. Khera says. The sellers recently removed doors between the solarium and combined living and dining area to create one large entertaining area. New laundry machines were brought in and hardwood floors were installed everywhere but the kitchen, which another owner revamped with ceramic floors and stainless steel appliances. The rest of the unit is filled out with a bedroom, four-piece bathroom and foyer with a deep closet, “which also served as an ensuite locker,” Mr. Khera adds. The monthly fee of $524 covers utility and cable costs. “The maintenance fee included everything, except for taxes, which is important for people so they knew what their costs were going to be every month,” he says. Amenities within the building consist of a gym, squash court and party room, as well as a rooftop deck, visitor parking and lobby staffed by 24-hour concierge. Co-op agent: Anil Khera, Royal LePage Real Estate Services Ltd.
For a young professional who couldn’t afford a property in the Annex where he rented, this semi-detached house was an east-end alternative with a more affordable price tag, but equally central and lively location, says his agent Anil Khera. It is just a block south of popular Greek restaurants, shops and cafés, as well as a subway station. The buyer was also pleased no major repairs were needed to improve the over 80-year-old house, which was outfitted with new roof, windows, mechanical systems and stainless-steel kitchen appliances a few years ago. “[The sellers] took care of the place like they would live there forever,” adds Mr. Khera. The main floor was laid out with a sunroom, a living room and a formal dining room all with hardwood floors similar to the three bedrooms on the second floor. For additional space, the basement was partially finished with a carpeted family room with one of two full bathrooms and a walkout. After agent Anil Khera and his client lost a few bidding wars for downtown properties in the low $300,000s, they finally outbid another buyer for this one-bedroom-plus-solarium suite in a 20-year-old high-rise on Bay Street. “It’s very competitive out there in this price range, which is normal,” Mr. Khera says. His client paid a $12,000 premium for this 15th-floor suite, which is ideally placed on the northwest side of the 36-storey tower facing the University of Toronto and the Royal Ontario Museum. Wall-to-wall and floor-to-ceiling windows also allow sunlight to reach the solarium, an open living and dining area and a master bedroom with a walk-in closet. “It was a nice, usable space,” Mr. Khera says of the unit’s overall layout. The kitchen features ceramic floors, while other areas have laminate. “It’s one of few units in that building that have that,” he says. A four-piece bathroom, high-efficiency laundry machines, an exterior locker and parking complete the unit. The monthly fee of $369 does not include heat or hydro costs. For more room to exercise or socialize, residents can use the indoor pool, squash and basketball courts and a party room. Guest suites, visitor parking and 24-hour security are also on-site. Amenities nearby include Queen’s Park, Yorkville shops and subway lines. LISTING AGENTS: Nutan Brown and Anil Khera, Royal LePage Real Estate Services Ltd. This detached, two-storey house has a rear addition that made it much larger than it appears, which is a big asset when the home is compared to other west-end properties nearby, says agent Nutan Brown. “[The previous owners] took what was a typical Upper Bloor West Village home and expanded it to a size that would accommodate a family very nicely,” she says. The expansion allowed for a new lower level studio, a second floor master bedroom with an ensuite powder room and Juliet balcony and an extra space off the kitchen with a walkout to a deck. The wiring, plumbing, heating and cooling systems were also updated, the roof replaced and interior gutted and remodelled by another owner within the last decade. Modern finishes within the 1940s house include hardwood floors and pot lights in the open living and dining area, stainless steel kitchen appliances and broadloom in the lower level recreation room. The main bathroom services the three bedrooms upstairs. Other assets include three-car parking accessed from a lane, a private back yard and a front garden with native plants and perennials. “It’s a beautiful showpiece of colours,” says Ms. Brown. Local amenities include parks, schools and places of worship, as well as High Park and Bloor Street shops and subway further south. For buyers wanting to relocate from their loft-style apartment downtown into an authentic loft, this one-bedroom unit in the St. Lawrence Market Lofts was the best contender, their agent Anil Khera says. The designated heritage building – one of several converted into condominiums in the area – was constructed in 1857 to house offices and activities of a wholesale grocery warehouse. Ten-foot ceilings, exposed brick walls and wood posts and beams preserve the past of this 901-square-foot space, which also displays modern details. “They have partial-height walls for the bedroom, which has sliding pocket doors at right angles that close off the room,” Mr. Khera says. The unit is also equipped with kitchen and laundry appliances and a four-piece bathroom. The monthly fee of $524 covers heat and hydro costs. Rental parking is available nearby, though the building is home to street-level shops and restaurants, and is steps from St. Lawrence Market, Distillery District and Financial District. Anil Khera was on the hunt for a country home within driving distance of Toronto for a client who was living in an apartment above his massage therapy clinic. This 1-1/2 -storey house offered an idyllic setting just 90 minutes east in Brighton. Built over three decades ago, the residence is near Lake Ontario. The land encompasses a vast amount of green space and trees, as well as a patio area, double garage and a wraparound porch with walkouts. One big attraction of the 2,732-square-foot house is a separate entrance to an office that is linked to one of three full bathrooms with a whirlpool tub and shower stall. There is a main floor bedroom, laundry room and eat-in kitchen, along with dining, living and family rooms. Upstairs includes an open concept recreation room with skylights. Listing agent: Nutan Brown, Royal LePage Real Estate Services Ltd.; co-op agents: Nutan Brown and Anil Khera, Royal LePage Real Estate Services Ltd. This two-storey Georgian-style house sits on a spacious city lot that feels more like a countryside property, says agent Nutan Brown. Not only are the grounds lined with trees, but the entire community is bound by parkland, a nature trail and the Humber River. “This is very tucked away, exclusive neighbourhood of maybe 30 to 40 homes,” she says. As for the appeal of the 1950s residence, it is in need of some updates, since it was last remodelled around 1990. “Now [the buyer] could … personalize this home to her own taste,” adds Ms. Brown. The property has a classic centre-hall plan with a foyer between the living and dining rooms. The former has a walkout to the deck, while the latter is open to the eat-in kitchen via a pass through. Also visible from the kitchen is a rear family room with built-in shelves and a wood-burning fireplace. Like the main floor, there are hardwood floors in the three bedrooms upstairs, which is where the main bathroom is located. A fourth bedroom is in the basement, along with a panelled recreation room and powder room. Attached to the side of the house is a garage. Listing agent: Anil Khera, Royal LePage Real Estate Services Ltd.
After removing excess clutter and furniture from this one-bedroom plus den unit, it could have passed for a model suite, which effectively helped to sell the place within three days, agent Anil Khera says. The private setting of the roughly 600-square-foot unit within the 16-storey condominium – named One City Hall for its proximity the downtown landmark – was also attractive, Mr. Khera says. It was completed a couple of years ago on the second floor, between a stairwell and the upper ceiling space of a ground-floor supermarket. “They had no neighbours on either side,” he says. Otherwise, the unit has a standard floor plan with open concept space, nine-foot ceilings and nearly full height windows. The kitchen cabinetry and appliances are lined up against one wall and a central island contains a built-in table. The adjacent living and dining area has sliding doors to a balcony. Laminate flooring throughout stops at the carpeted master bedroom. Other features include a full bathroom and energy-efficient laundry machines, plus a locker and parking. The monthly fee of $359 covers heating costs and maintenance of a shared gym, indoor pool and hot tub, as well as a party room and guest suites down the hall. A rooftop garden is also on site. More recreational facilities, restaurants, a multiplex cinema, performance theatres and university campuses are located nearby. In addition, commuting is easy by subway or streetcar. “It truly offers everything for the urban professional or student,” Mr. Khera says. Listing agent: Julie Kinnear, Royal LePage Real Estate Services Ltd.; co-op agent Anil Khera, Royal LePage Real Estate Services Ltd. The real estate market is slowly recovering from the recession, but properties in the lower price brackets – such as this semi-detached house in the former city of York – are snatched up quickly by first-time buyers, agent Julie Kinnear says. Between 2003 and 2008, the 1930s house received upgraded wiring and copper plumbing, new high efficiency furnace and air conditioning systems, and updated roofing and windows. Cosmetic changes to the 1,098-square-foot house included freshly painted interiors, refinished hardwood floors in the living and dining rooms, new broadloom on the second floor, and two modernized bathrooms. Slate floors and Shaker-style cabinetry spruce up the kitchen, which has access to a mudroom and deck. The front yard can be reached from the enclosed porch. Three bedrooms are upstairs, while the fourth is off the lower-level recreation room. The extra wide lot accommodates a large backyard, shed and a private driveway for three cars. The quiet dead end street is close to parks, malls and schools, plus amenities in Bloor West Village and the Junction. Working with a budget of $500,000, agent Anil Khera had the difficult task of finding a large detached property for a growing family hoping to live near High Park. Eventually, his clients were prepared to boost their budget for this traditional four-bedroom house near St. Joseph’s Health Centre. Should the buyers need more space, the lower level offers about seven-foot ceilings, a roughed-in bathroom and newer concrete floors, as well as a separate entrance. “There’s huge amount of potential with the basement ready to be finished,” says Mr. Khera. Otherwise, extra work is not necessary prior to moving in, as the roofing, wiring, copper plumbing and boiler were all updated in the past few years. Period details were left intact, from its brick façade, cedar shakes and stained-glass windows to interior wood trims, oak staircase and refinished oak hardwood floors. “There is lots of original character,” says Mr. Khera. The fireside living room is entered through decorative archways from the hall and sunroom, while the dining room can be opened or closed off with French doors. The main hall leads to a kitchen with a breakfast area by the back door. “It’s got a cute private backyard and an older garage that is mostly used for storage,” adds Mr. Khera. The sole four-piece bathroom is set amid the second floor bedrooms. Agent Anil Khera began searching for an authentic loft within cycling distance of his client’s workplace in the Entertainment District, but found this relatively new ground-floor corner suite to be a comparable alternative in Liberty Village. Plus, this unit has a handy street-level entrance off the spacious 225-square-foot patio. “There’s also an entrance in from the building, but you almost never use it unless accessing any of the amenities in the building,” the agent adds. The interior finishes are modern, including granite kitchen countertops, mirrored backsplashes and stainless steel appliances along one wall, as well as laminate flooring in the principal room and carpeting in the master bedroom. Rounding out the unit is a four-piece bathroom and laundry facilities. The monthly fee of $222 includes heating costs. Residents can use several recreation facilities in this building and its sister tower, including a gym, indoor pool, cyber café, theatre and party room with a patio. A car wash bay, guest suites and visitor parking, as well as 24-hour concierge are also on site. “It’s got all the things you would expect in a new building,” Mr. Khera says. The unit does not come with parking, but there is a supermarket, shops and fitness studio nearby, as well as an increasing number of restaurants and bars and cafés serving the growing community. “It’s a very cool, hip and urban environment,” he says. Agent Anil Khera was asked to find a west-end home with lots of space for a client couple looking for a comfortable place to raise children and create artwork, while being able to rent out a portion of the house to generate income. This 11-year-old, custom-built house was the best candidate of about two dozen prospects, most especially because of its central location north of Christie Pits Park. What impressed the buyers even more was the size of the four-bedroom, back-split residence and its heated 400-square-foot garage, complete with a mezzanine. The buyers will install a kitchen on the lower level, so that floor can be used as a self-contained unit with a recreation room, family room and bedroom, which all have over seven-foot ceilings. “It doesn’t feel like a basement because it’s quite high, very modern and fairly bright,” adds Mr. Khera. The main floor above houses a kitchen with a rear walkout, and a combined living and dining room with a marble fireplace and stone floors with ceramic accents, as well as a skylight, stained-glass window and custom blackout shutters. There are four-piece bathrooms on the main and lower levels, plus a pair of two-piece bathrooms, which the buyers will combine into a large bathroom/laundry room on the upper floor, Mr. Khera explains. Tall fencing surrounds the perennial gardens and cedar decking in the backyard. “They used every square inch of the property line,” says Mr. Khera. Agent Anil Khera had the challenge of finding a one-bedroom plus den suite for renters wanting to live close to their workplace downtown, yet still have outdoor space. This 10th-floor unit presented the best combination of both qualities, starting with its location within a decade-old condominium at Richmond and Sherbourne streets. It is close to the Eaton Centre, St. Lawrence Market and Distillery District, plus transit and Moss Park, which is where the buyers often walk their dog. “It was very important to them to have good access to the downtown core,” Mr. Khera says. For more privacy outdoors, the unit has a west-facing terrace of more than 100 square feet. Glass balcony doors to the principal room and large windows throughout also bring the outdoors inside. “It is a very bright and airy unit,” Mr. Khera says. The buyers replaced the carpeting with laminate floors; the kitchen already displayed hard surfaces, such as ceramic floors and granite-topped counters and breakfast bar. Laundry machines and a four-piece bathroom with a whirlpool tub round out the space. Utilities are included in the monthly fee of $272, “which is very reasonable,” Mr. Khera says. Residents are also free to use the two-level gym, indoor basketball court and sauna, as well as a rooftop terrace, and games and party rooms. Anil Khera’s clients were initially outbid on this brick bungalow by someone offering a few thousand dollars more. But once it was discovered that Mr. Khera’s clients wanted to raise children in the 1930s residence – which had been owned by the same family for 66 years – their offer came out on top. The three-bedroom house is very kid-friendly, starting with its location on a short, tree-lined street close to schools and recreation facilities, as well as Bloor Street shops and subway. The property is a secluded space with perennial gardens, a fenced backyard and a private drive to the detached garage. “It has a nice wide 50-foot lot,” Mr. Khera adds. The house needs some updates, though the windows were replaced and the original garage was converted into a family room with panelled walls and a walkout. The fireside living room and adjacent dining room features hardwood floors beneath broadloom carpeting, like most rooms except the kitchen. A full bathroom rounds out this level, while a toilet and shower are in the partly finished basement, which has a recreation room with nearly seven-foot ceilings. “They could easily put in another bedroom and den … without any issues,” Mr. Khera says. 45 DELAYNE DR., Aurora, Ont. To accommodate a family with members from three different generations, this updated two-storey house in Aurora, Ont., offered much more space than the bungalow they owned in Scarborough, says their agent Anil Khera. This over 20-year-old residence also offered a practical layout where children could sleep undisturbed upstairs while parents relax or entertain on the main floor, Mr. Khera explains. Plus, there is a lower level in-law suite with two bedrooms, a full bathroom, kitchen, fireside living room and a family room with a walkout. “They wanted the mother-in-law to have her own unit within the house,” says Mr. Khera. Most of those rooms are carpeted, along with three second floor bedrooms. Hardwood floors cover the main floor living and dining area and the family room, which contains a second wood burning fireplace. The eat-in kitchen has a walkout to the deck and fenced south-facing backyard. “There was a good amount of space for gardening and for their children to play in,” says Mr. Khera. A powder room and laundry room completes this level. Two bathrooms are upstairs, including one in a master bedroom with a walk-in closet. There is parking on the driveway or in the double garage, though the quiet, tree-lined street is steps from a trail system and park, plus schools, shops and recreation facilities. “They didn’t want something completely suburban or rural, so this gave them the best of both worlds,” adds Mr. Khera.